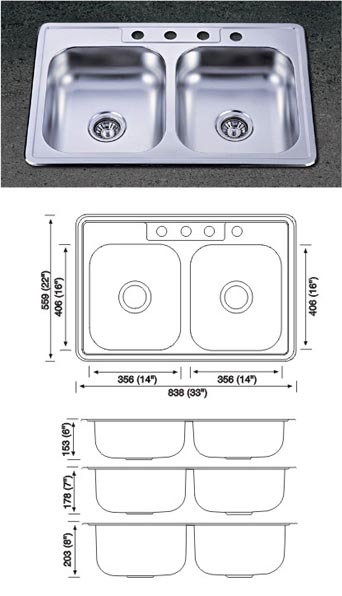 Drop In Kitchen Double Bowl Sinks,Stainless Steel Sink Overal:33"x22"Depth:6" or 7" or 8" Thickness:from 0.6mm to 1.0mm.Polish:Satin/Polish/Silk. High-quality topmount double bowl one-piece formed. Faucet Holes can be indicated. Clips included.